Recently I wrote about the Aquatic Ape Hypotheses, inspired by a conference being held on the subject. 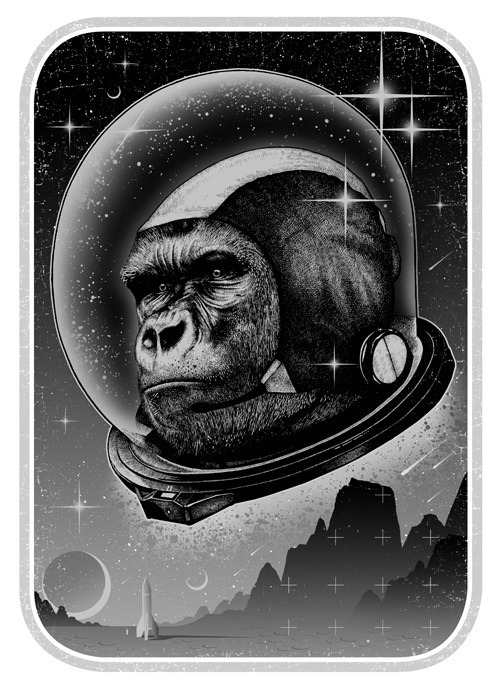 Unsurprisingly, other people have also been busy discussing the topic and there has been a fun pseudoscientific parody called the “Space Ape Theory” which took off rather nicely on Twitter and is doing a good job of highlighting problems with the AAH. This post will only be short, because other people have been dealing with this issue perfectly well without the need for my input, but I thought it might be useful to make visible the outcome of an extended conversation I had with AAH proponent Marcel F. Williams, in the comments section of my earlier post. I decided to check some independent evidence about an inference made by Alister Hardy that led to the development of the AAH in the first place – the idea that having layers of subcutaneous fat was a trait unique to humans and aquatic mammals. This idea is still regularly cited by AAH proponents (especially Elaine Morgan) as a line of evidence for evolutionary convergence between humans and marine mammals due to the sharing of an aquatic habitat. In short, humans are by no means unique in the primates with regard to their proportion of subcutaneous fat, so if any AAH proponent pulls out that old chestnut in conversation, be sure to put them right.